Join us Saturday, May 11 for the Girls on the Run 5k! Anyone who has been to a Girls on the Run 5k knows it is unlike any other running event. It is a celebration of and for the girls who are completing a 10-week season of the Girls on the Run program. By the day of the 5k, their enthusiasm is so unbridled that they are running around before the race even begins! Positive energy abounds as the girls dance to warm-up music and get their hair “happied” and designs painted on their faces. Our 5k is a non-competitive event that is sure to bring a smile to your face and make you so happy you joined us! Visit our website. 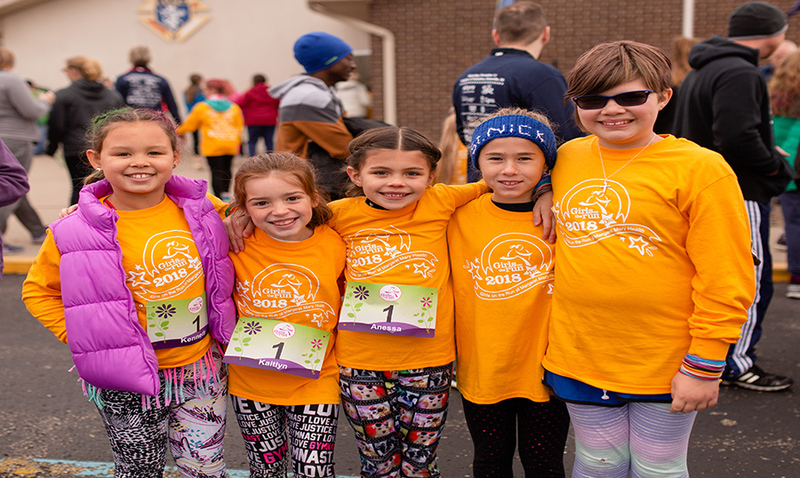 For more information, contact Lynn Hertel at 812.933.5482 or lynn.hertel@girlsontherun.org.